Spring has arrived down here in the southern hemisphere, but wherever you are in the world, now is as good a time as ever to give the office a seasonal spruce-up. And I’m not just talking about shifting those piles of paper or dusting off desktops. Because, the reality is, without proper systems all that clutter will reappear in no time. Instead, here are 5 ways you can use cloud software to ensure that your office stays organised, your systems stay streamlined and your productivity levels stay powered-up, year-round! If you’re currently surrounded by piles of paper on your desk, crammed folders and a waste paper bin filled with scrap paper, then listen up. Instead of shoving it all out of sight into a cumbersome filing cabinet, use an online document management system hosted in the cloud. Most options will allow you to store a certain amount for free, with the option to pay a monthly fee to upgrade to more space. Box - 10GB free. 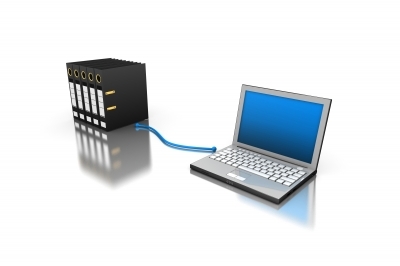 A Business Plan starts at US$15 per month for unlimited storage. Dropbox - 2GB free. A Business Plan starts at US$15 per month. Google Drive - 30GB free. US$1.99/month for 100GB, US$9.99/month for 1TB. The security and accessibility of cloud software means you’ll no longer need to keep hard copies or duplicate copies on external hard drives as a back up. Your entire team will be able to upload, edit and access shared documents, presentations, PDFs, spreadsheets, videos and images, wherever they need to work. Of course the key here is not just to move the physical clutter to virtual clutter, so make sure you establish a logical filing system from the get-go using folders or labels. Establish a plan to deal with printed documents that you receive from clients or suppliers. The best solution is to scan them to PDF - most printers or photocopiers should have an inbuilt scanner which will email your document straight to you. You can then transfer this document to the online document storage system that you set up - and recycle the physical copy. Ask your suppliers or other service providers to send you digital statements and receipts instead of hard copy to avoid the unnecessary transfer of paper. 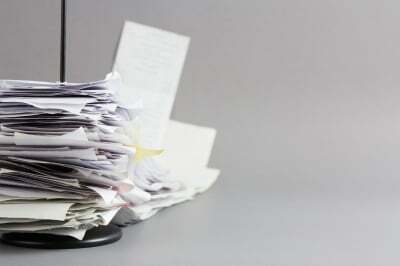 The same can be done for all those pesky receipts and dockets you need to keep a hold of for your accounting. An app such as Receipt Bank allows you to submit your receipts by email or via your smartphone. The data from the receipt is then converted and stored, and can be downloaded to an Excel spreadsheet or to an add-on partner such as Dropbox, Xero, WorkflowMax or a payroll integration app. If you also have a tendency to end up with stacks of business cards floating around on your desk, in your bag and through your drawers, use a smartphone app to scan and digitise the details and easily manage your contacts. 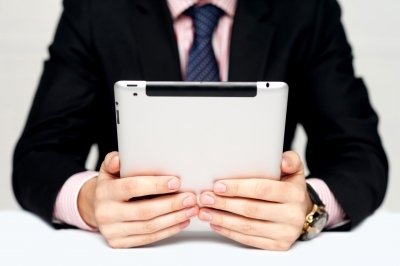 If timesheets are the bane of your business, then it’s time to take them digital. Implementing job management software such as WorkflowMax will eliminate the need for manual inputting of timesheets. It’ll save you time, as well as rescue you from the depths of unnecessary paperwork. You can also say goodbye to countless invoice folders taking up shelf space. Your accounts can go paperless too using cloud-based accounting software, Xero. 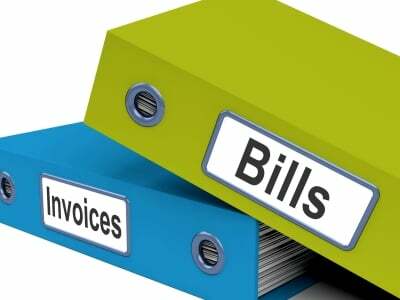 Everything related to your accounts can be kept on record online - any invoices you receive can up uploaded and stored against supplier details, and your own invoices are generated and emailed directly from the system. No printing or envelope-licking required. Next up, instead of using a notebook - or worse, a loose bit of paper, for your meeting notes - give digital note-taking a go. You’ll be able to keep everything in one place instead of having them jotted all over the place. It also makes it easier to share your ideas with others if you need to collaborate on a project, and the notes can then also be uploaded to your new online filing system. Throw out the desk-top calendar and diary. You should only ever use ONE calendar or diary to keep track of your schedule, and the easiest way to do that is by using one that you can access from all your devices - that is, your computer, smartphone or tablet. I’ve already talked about Sunrise Calendar here, which is an app you can download to your tablet or smartphone. Google Calendar is also a great option for sharing calendars and accessing on the go. With cloud technology giving us better accessibility and connectivity, you’ll likely find that your business operations will become less dependent on a physical office. Therefore, it makes sense to shift away from cumbersome hardware and invest in technology that goes wherever you do. Provide your employees with the technology they need that allows them to access and update information from their own device from anywhere, reducing the need to carry out administration tasks in the office. If they are able to automatically access and update information, submit orders, track their time and collaborate with colleagues via their laptop or tablet then there will be no-need for paper shuffling around the office. Are you motivated to make some changes in your business? 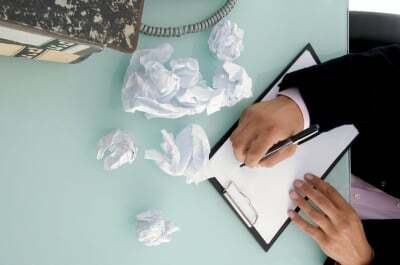 What other ways have you used technology to tidy up your office? Monica is a marketing copywriter for WorkflowMax, creating content for the website, blogs and ebooks. Having run a copywriting business helping a wide range of businesses create stand-out marketing and website content, she has a thorough understanding of the challenges business owners face. My collection of memories attending Xero Roadshows and XeroCons since 2010 to 2015. It’s a retailer’s worst nightmare, and a delight for consumers – realising a pricing error has underpriced goods for sale. It rarely happens, but if it does strike your business, here are some tips on how to handle it.